Ever since she decided to become a high-fashion model, our forums have been incredibly hard on Kendall Jenner. Take, for example, her current cover of American Harper’s Bazaar, which had tFS forum members complaining (loudly) about her lack of modeling skills. Now, the haters might have to eat their words with the unveiling of Missoni’s new Spring 2018 advertising campaign. While Gigi Hadid proved she wasn’t a Missoni girl in the Fall 2017 campaign, Kendall replaces her BFF this season and…nails it. 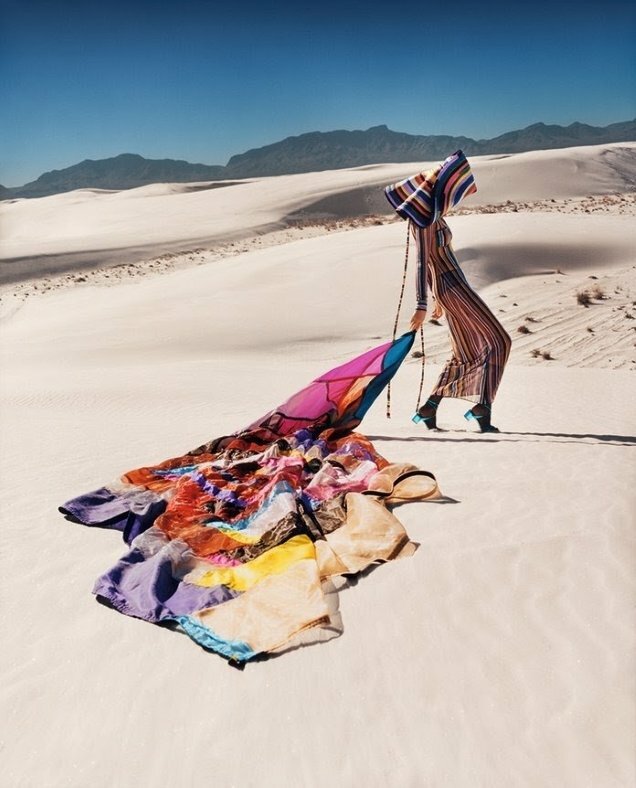 Photographed by Harley Weir, Kendall visited the White Sands National Monument in New Mexico for the shoot, striking some dynamic poses amongst the glistening white sands with Missoni’s colorful creations providing a beautiful contrast. Suffice it to say, our forum members were impressed. “Her best work,” declared Wolkfolk. “Her best shot ever! BRAVO!” applauded Lola701 in agreement. “I like the broken pose, it’s very high fashion mannequin. Kendall delivered this time, yes honey,” approved Fernini. Still, many of our forum members weren’t ready to give Kendall all the credit. “This is a gorgeous shot! As long as her face stays hidden behind a hat, I’m all for it,” posted dodencebt. “Of course it’s her best work, you can’t see her dull facial expression/face,” pointed out guimon. “Gorgeous shot! And good decision on covering her face,” laughed tjasmine. “Stunning! But why Kendall? Such a waste, nobody wants to see her anymore,” anlabe32 critiqued. See Kendall’s new Missoni campaign for Spring 2018 in all its glory and drop us a comment here.